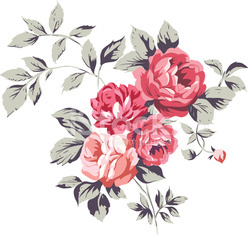 Pink roses on a vintage old paper background. Vector. Vintage pink roses branch. Vector illustration.